Gold making in World of Warcraft. This week, Euripides and Stede discuss the patch 5.0.4 and the ink trader's continued acceptance of Blackfallow Ink. Thanks to SynthParadox for his help editing and recording, as always. Here's the RSS feed for our episodes, and here's the iTunes link. 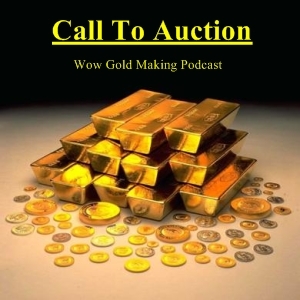 You can also find us on iTunes by searching for "call to auction". To ask a question, simply email calltoauction@gmail.com!